Samples: Chance Fraction. Chance. Chance Problem Solving. Chance Problem Solving. Chance Problem Solving. Chance Problem Solving. Samples: Chance Fraction. Chance. Chance from 0 to 1. Probability decimals: Activity 1. Chance. 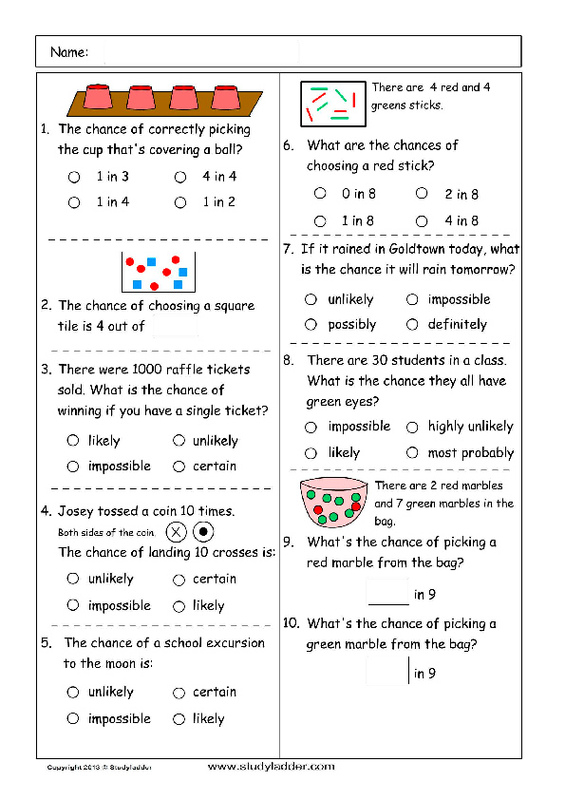 6.S.1 – Order the likelihoods of outcomes for situations involving chance, considering experimental results and models of all possible outcomes. Samples: Chance Order - impossible to certain. Chance - one cannot happen if the other happens. 7.S.2 – Order the likelihoods of outcomes for situations involving chance, checking for consistency between experimental results and models of all possible outcomes.